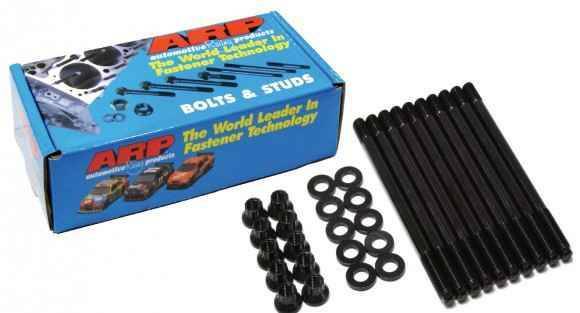 ARP® uses a premium grade 8740 chromoly that is rated far superior to to "aircraft quality". Then, each stud is placed vertically in special racks and precisely heat-treated to 200,000 psi. This procedure ensures complete heat penetration and the results are far superior to those lesser quality studs from other manufacturers who just dump pieces in a basket and hope for the best.